Safety is important to us. We take every precaution available to make sure that your show experiences no incident due to improper rigging. 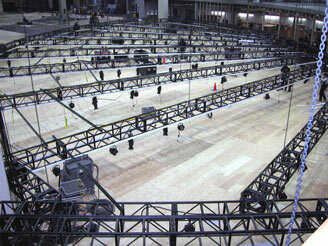 Brutus, Inc. is an entertainment rigging company providing riggers, rigging equipment, and supervision. We cater to the local production companies as well as the national. Check out the gear page! © Copyright Brutus Inc. All Rights Reserved.